You can choose the length and color of this strap. Every truck needs some 2” ratchet straps with flat hooks. They are perfect for just about any size object or for putting over a tarp for extra security. 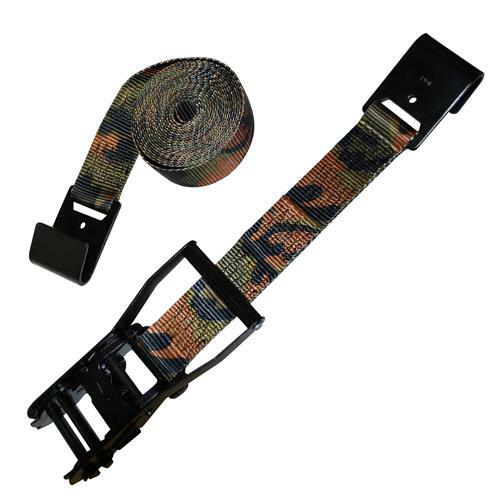 Our 2” flat hook camo ratchet straps with black handles are high quality straps at a great price. The flat hooks are made to fit in standard flatbed siderails. These multi-purpose tie downs are great for a variety of uses.